Simple and practical, the Vision 'A' frame banner stand is flexible and strong. Ideal for use with eyeleted PVC or mesh graphics. Standard configurations up to 4000mm long are available. Made from 30 mm diameter round anodised aluminium tube. 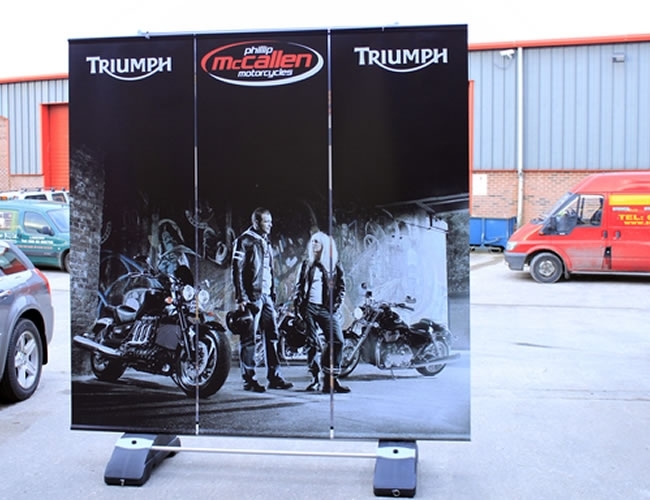 Heavy Duty Banner Frames are built to withstand the rigors of frequent outdoor use, and feature cast aluminium joints with rubber O rings for easy fitting. Easily carried in a car, these modular banner frames are supplied with carrying bags, elasticated banner fixing loops and ground pegs.